The Fijian Elections Office has updated their FEO mobile App to give a breakdown of statistics based on their administrative areas. Supervisor of Elections Mohammed Saneem says they have done this to accommodate queries being raised by the public over the confusion in divisional boundaries they covered. 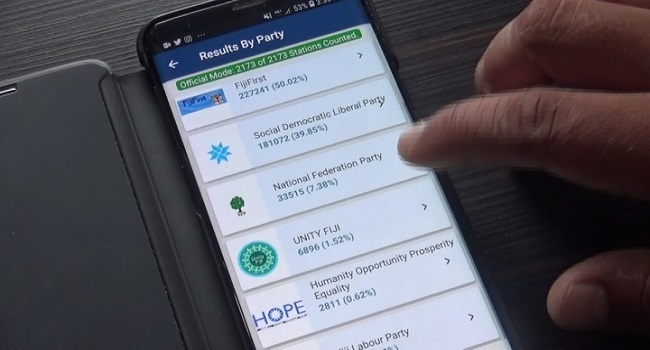 He says the updated FEO mobile app will clarify the number of votes that were received from the different divisions around the country. Saneem adds that they used the FEO administrative areas to view the results. Meanwhile, Saneem has also given his assurance that the 8894 elections officials will receive their pay on time.